Corporate Office is a well thought out and beautifully decorated houseboat. 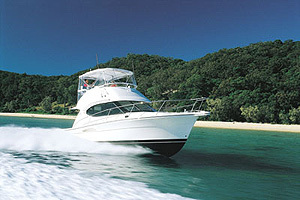 With loads of options, this boat was designed to be as comfortable away from the dock as she is at port. Boarding from the front to step onto the enormous front deck. This area features a removable full enclosure for use in cooler weather and a table with seating for 4 for entertaining guests. There are 2 large hatches to access the area below deck for storage. There is a separate storage for a bank of 8 inverter batteries for easy access to maintain. This bank of batteries allows you to run several of the vessel’s systems without the use of the onboard generator while away from the dock, thus saving fuel. On the starboard side is a staircase giving access to the spacious top deck. Stepping through the large sliding glass door into the lavishly appointed salon, and instantly feel at home with features such as a sofa, oversized arm chairs, and a 43” flat screen TV with surround sound. Plenty of room to relax in style. 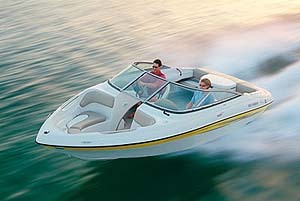 The lower helm is to starboard offering good visibility when out on the water. The large U shaped galley features a built in bar with seating for 4. The galley includes lots of upgrades such as tile floors, refrigerator with bottom freezer, range/oven, built in microwave, under counter ice maker and dishwasher. Stepping aft down the side hall is the queen size VIP stateroom with closet, drawer storage and 21” TV. Moving on down the hall there is a full size stack washer/dryer and full guest bath. Two cuddies provide extra space for overnight guests. The forward cuddy has a queen size bed, cabinets, drawer storage and 22” TV. 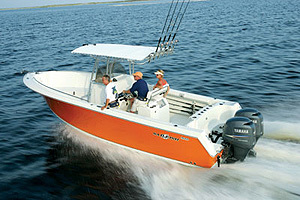 The aft cuddy features 2 twin beds, drawer storage, plus access doors for below deck storage. 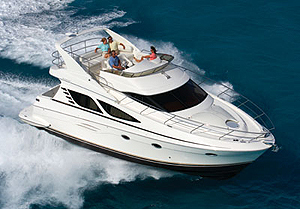 Further aft is a king size master stateroom with 2 closets, drawer storage, and entertainment center with 32” TV. This room features a private exit to the back deck via a large sliding glass door. The master stateroom also includes a private full bath with jetted tub. This boat has a side hall layout with separate exit to the back deck. This allows people to move through the boat while keeping the master suite private. 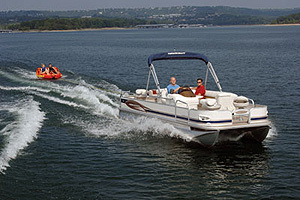 The back deck includes 2 hatches to make engine service easy, a 4’ swim platform with retractable ladder, retractable Jet Ski ramps, and steps to top deck. 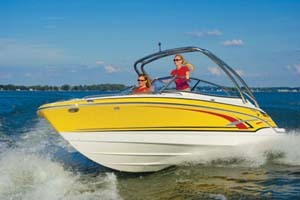 Twin Mercruiser 4.3L Bravo II 169 hr. 20 KW Westerbeke generator 461 hr.